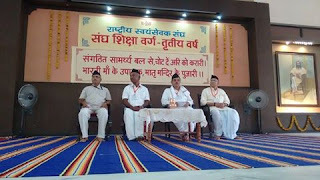 Nagpur, May 16: “The annual Third Year Training Camp of Rashtriya Swayamsevak Sangh (RSS) provides an opportunity to all the participants to know, understand, experience and imbibe ‘Bharat’ in their hearts”, observed Dattatreya Hosabale, RSS Sah-Sarkaryawah here on Monday. He was delivering the inaugural address after formally opening the 25-day long Third Year Summer Training Camp known as ‘Sangh Shiksha Varg’ in RSS parlance here at Dr Hedgewar Smriti Bhavan Reshimbag premises. Sarvadhikari of the camp Prof Dr. Vanyarajan, Varg Karyawah Harish Kulkarni, Guardian Adhikari Swant Ranjan and Sahsarkaryawah Bhagayya were present on the dais. 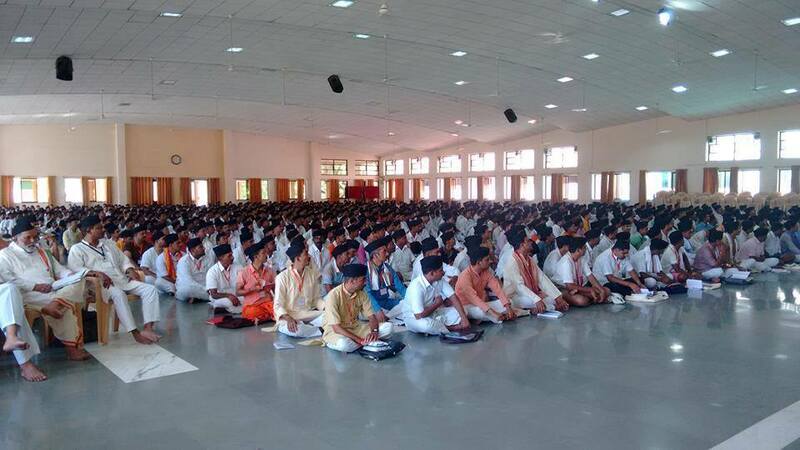 Over 800, youth swayamsevaks, drawn from all the states of Bharat are participating in this training camp. Hosabale said that this summer training camp presents ‘mini-Bharat’ in itself as swayamsevaks drawn from various provinces, speaking different tongues, having varied food and clothing habits and coming from different climates stay together for 25 days, thus, providing a chance to interact, learn and understand the real ‘Bharat’. Hosabale said that RSS is not known for its uniform or prayers, but it is known for its comprehensive, all-encompassing attitude towards the diversity in Bharat and its attempt to understand and experience the unity in that diversity. The RSS literature is available in each language spoken in Bharat, the system of Sangh Shiksha Varg is same all over the country yet it includes the distinguishing features of those different provinces, spreading their fragrance all over. He said that the training imparted to swayamsevaks in this training camp empowers them to experience Bharat with all its diverse peculiarities and distinctions. Recalling Swami Ramtirth’s analogy with Bharat Hosabale said the Swami used to say: “Bharat is my body, Kanyakumari is my feet, Himalaya is my head, the Ganga flows through my hairs, Brahmaputra and Sindhu originate from my both hands, Vindhyachal is my waistline, Coromandel is my right leg and Malabar is left. I am Bharat in its wholeness...”. Quoting this Hosabale asked the participants whether they would be able to experience Bharat like the Swami did? Tracing the history of the summer training camps in RSS, Hosabale said the RSS summer training camps have a special position in the RSS annals of history with their distinguishing tradition and history. He said that earlier the duration of the camps used to be 40 days which was later reduced to a month and further to 25 days. This means that besides the syllabus that used to be taught in 40 days is now completed and learned by the participants in 25 days. The RSS Sah-Sarkaryawah said that though the RSS was started in 1925, the daily shakha began in 1926 and the training camp started in 1929. In those days, this was known as ‘Officers’ Training Camp’ (OTC). The camp which initially began in Nagpur later spread to different cities Pune having the honor of being number two in the hierarchy. 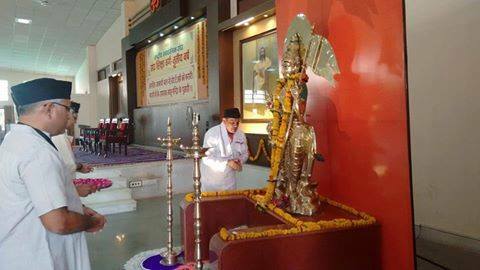 The RSS founder Dr. Keshav Baliram Hedgewar used to visit both the camps. The 1940 camp at Nagpur where swayamsevaks from all provinces participated, was the first such camp held in Dr. Hedgewar’s presence. Hosabale said that though the RSS completed 90 years of its existence, this 2016 Sangh Shiksha Varg may be the 82nd summer camp. This is mainly because the camps could not be held in 1948 and 49 when the RSS was banned; later during the 1975-77 internal emergency as the organization was banned again and also during the third ban imposed in the aftermath of the demolition of disputed structure at Ayodhya in 1992-93. Hosabale said that after completing this training no degree is given to the swayamsevaks, but this training is necessary for them so that they can perform their roles more effectively. It is expected of them that they remain ever committed to RSS mission and engage themselves in this mission lifelong. 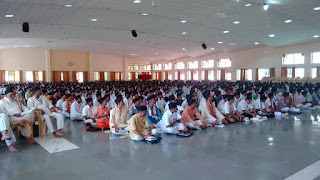 He appealed to the participating swayamsevaks to take advantage of this ‘sadhana’ and ‘tapasya’ of Sangh Shiksha Varg’ and enhance their life along with RSS mission and vow to follow this lifelong. Senior RSS functionaries including Sarsanghchalak Dr. Bhagwat, Sarkaryawah Bhayyaji Joshi will be guiding the participants in different aspects of RSS ideology and philosophy during the training camp.